I got back the FoW pre-release like 2 hours ago. I had a beyond satisfying experience despite the event lasting almost 6 hours. That being said between the misplays I made and the mountains of salt I caused, there is definitely room for improvements in the future. In like 9 hours, so this blog post will be fairly fast. My opponent was overwhelmed by Dark Alice’s God’s Art (#Shrivel4Life). He tried his best to kill her, but I got too far ahead in the life race while he kept attacking her. This happened 2 games in a row. I knew my opponent as a former Magic player. He was a really good sport. After the thrashing I caused, we discussed with the nearby finished players about how unbalanced the format was allowing players to use the pack opened J/rulers against the Draft Ruler Clockwork Furnace. It left the people who opened relevant J/Rulers (like myself) a glaring advantage. The top 4 of the tournament not surprisingly was all people who opened rulers. My opponent opened Lancelot, Hector and Guinvere (also he wasn’t playing with sleeves…). I won game 1 after like 30 minutes after a long war with attrition with Dark Alice. He then swiftly killed me on turn 4 game 2 with perfect on curb Lancelot attacks. Then we drew in time game 3. Another issue is that people went into time every single round. I think the nature of the draft format just gravitated toward longer games. My opponent seemed very good. I didn’t get to know him much from the games though. So we had a pretty fair mirror though my opponent had far better finishers than I did (like the phoenix thing). I made a colossal misplay game 1 when I forgot I set Flash of the Demon Sword in my chant standby and mist the chance to clear his board. Game 2 I finally sided in Burn to Cinders (after I got blown out by it game 1) and learned it was crazy good with Dark Alice. I was beaten up for ages Game 2 until he finally killed me with 3 cards left in deck with a Demon Sword to give the Dark Alice the swiftness needed to kill me. I always remember my misplays and I think this will be one that I’ll never live down. I’m not sure I could’ve won (as this was one of the store’s best regular players that I was up against), but it was definitely a miss that cost me the game. Also this guy opened in my humble opinion the best pool in the store with multiple 4 CMC swiftness dragon Dark Arlas and both Dark Alice’s Cat and the Demon Sword. Legit my round 4 opponent was seemed depressed over the state of pack ruler decks crushing the furnace decks and I couldn’t really blame him. I beat him game 1 with a perfect curb of creatures (Mech Knight is really good, especially in this format where you can always play him on turn 2). Game 2 he got a lot of early game aggression with Flame Sprite and Light Fairy, but Dark Alice would have none of that blasting the fairies into oblivion . I also heard both support and counterarguments for each one of these. I don’t know the right answer and being a relatively new player I’m not someone to ask. I made a lot of slip-ups during play, but I think I learned alot for the future. These are legitimately some of the best FoW pulls I’ve ever had. Whenever I’ve split boxes with my friends I always opened a maximum of 0-1 J/Ruler or just lost money. 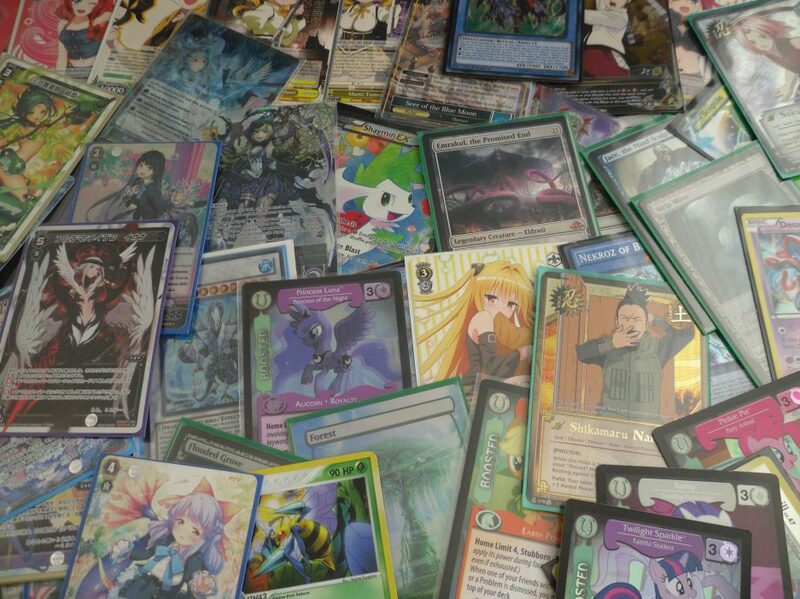 For example, after splitting the SKL box I was really upset about my pulls. I guess this is karma paying me back for those dank pulls. Either way I have to build Dark Alice Control now (as building as many FoW decks as possible has become my recent muse).